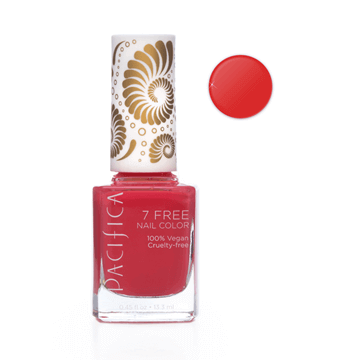 Pacifica is known as one of the most innovative and sustainable makeup lines on the market today. Pacifica are elevating the experience of natural beauty products and overcoming the common perception that naturals don't deliver great results. 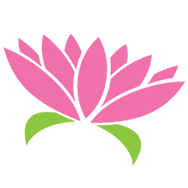 They make natural products that work as well or better than any non-natural line. Their mission is complete when they have delivered the best performing products, using the safest ingredients, in recyclable packaging and components to the largest possible audience of beauty consumers. 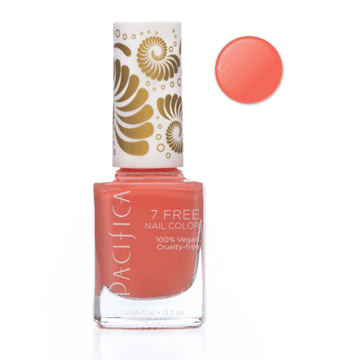 Pacifica skin care and colour is formulated with natural ingredients your skin craves. The skin care and colour is formulated without: Animal testing, animal ingredients, FD&C color, phthalates, parabens, sulfates, propylene glycol, benzene, mineral oil, petroleum, peanut oil, triclosan, and other ingredients you do not want on your skin. 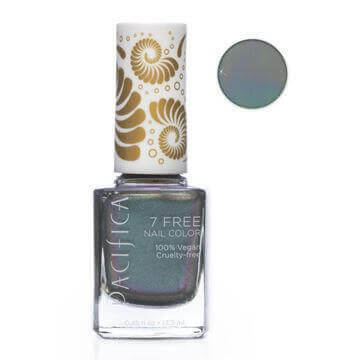 Pacifica 7 FREE Nail Polish is formulated without parabens, phthalates (dibutyl phthalate), toluene, xylene, camphor, formaldehyde, resin, and animals. The big toxic offenders in nail care today. 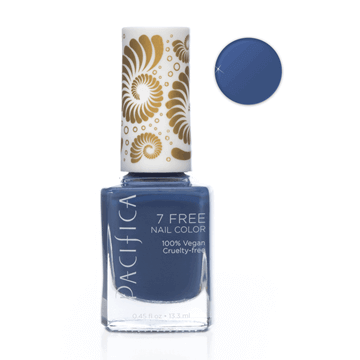 Unlike the mineral colour, it does contain FD&C colorants. They disclose the entire formula so that you can see what ingredients they are using. 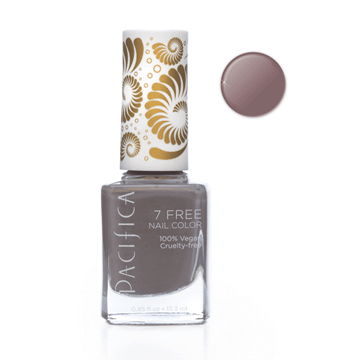 All Pacifica products are gluten-free, 100% vegan, and cruelty-free.